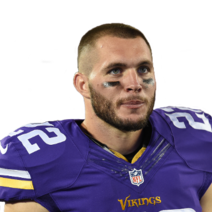 How should the Vikings handle the starting RG position? 1. How should the Vikings handle the starting RG position? I am not really liking the Vikings choices in upgrading either guard position. I guess I will vote to cut Remmers and try for a day one starter in the draft (but, I'm doubtful one will be available at 18). I really dislike the free agent choices!! Mike Remmers is not an OG. We need to draft a good guard so badly. I'd be fine with us trading up (shouldn't be necessary though). Him or Dalton Risner would be excellent RGs. I don't care for a FA. That's huge money for a mediocre talent. Draft the position and hope you get it right. I'm fine signing a stop gap if it's not a huge commitment, but I agree, don't dump $12 million on this year's FA guards. 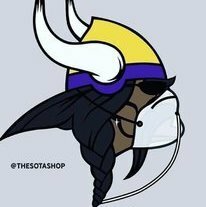 The Vikes OL rebuild really needs to happen over two more drafts. It started last year with O'Neill. Hopefully we get one more good starter this year. Then comes 2020, you're probably filling out that last Guard spot or replacing Reiff. The reality is, you don't need five really good OL. You just can't have your weak link being a complete sieve. O'Neill, Reiff, 2019 rookie and 2020 rookie (let's assume early picks) is probably a good group through 2020, assuming we actually draft and develop good players, easier said than done with this team. Rhodes for Scherff or Waynes for Scherff. Both deals are on the table, which do you go with, or do you turn it down? Who wins either deal? I'd trade Waynes for Scherff, but I'd imagine we'd have to sweeten the deal. Rhodes always seems to be dinged up but he's young enough to still play at an elite level. Waynes is a solid CB, I don't think he's top 10, he might not even top 20. His build worries me and it still seems like he thinks too much. Rhodes. When Harrison is playing close to the line of scrimmage, you need someone in the defensive backfield who is not only sufficient in coverage, but also a sure tackler. Waynes sure tackling is the value added you get with him. I think Rhodes 2018 production can be matched with the young guys in rotation. I would trade Rhodes for Scherff, but the likelihood is that they'd ask for Waynes instead because of age. I'm on the Rhodes train as well. *At a minimum I want Remmers to be cut. That's about all I can say with 100% confidence right now. I'd probably do either with our current CB depth. Rhodes/Waynes/Alexander/Hill/Hughes + whoever we add in the draft this year(we all know its going to happen) However if I was the one in charge I'd trade Rhodes. I don't think Sendejo has a spot on the team either at his salary. Agreed, trying to keep it RG related!